Two Hollywood heavyweights are crying foul over a major grocer’s inhumane treatment of animals. 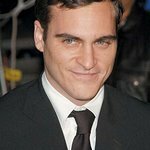 In two open letters released today, Academy Award-nominated actor Joaquin Phoenix and TV legend Bob Barker denounced Safeway and its parent company, Albertsons, for allowing their egg suppliers to cram hens into cages so small birds can’t walk, fully spread their wings, or engage in other natural behaviors. Phoenix’s and Barker’s letters are the latest volley against the grocers in a campaign by the international animal protection group Mercy For Animals. Among other actions, the group has staged protests at Safeway’s corporate headquarters and in front of Safeway locations, launched a Change.org petition that has been signed by more than 60,000 consumers, and coordinated an online advertising campaign featuring kids asking Safeway to go cage-free. Hens on egg factory farms are subjected to unspeakable cruelty and neglect. Birds live on cage floors smaller than a sheet of notebook paper. Many birds become trapped and painfully mangled in cage wire or under feed trays. Dead hens are often left to rot alongside birds still laying eggs for human consumption. Battery cages are so cruel they’ve been banned by California, Michigan, and the European Union. Though they represent two of the nation’s largest supermarkets, Safeway and Albertsons continue to lag behind their competitors, including Giant, Stop & Shop, CVS, Target, Costco, Trader Joe’s, and BJ’s Wholesale Club, which have already made public commitments to eliminating cages at the behest of conscious consumers. A Food Marketing Institute report found that consumers ranked animal welfare as one of their highest priorities. Both Phoenix and Barker have previously supported MFA’s efforts for animals. Phoenix narrated an MFA undercover investigation depicting animal abuse at a Walmart supplier and joined forces with MFA and 300,000 consumers to petition the company to adopt meaningful animal welfare standards. Barker narrated hidden-camera footage captured by MFA that exposed egregious abuse of chickens raised for meat by American Humane Certified Foster Farms.